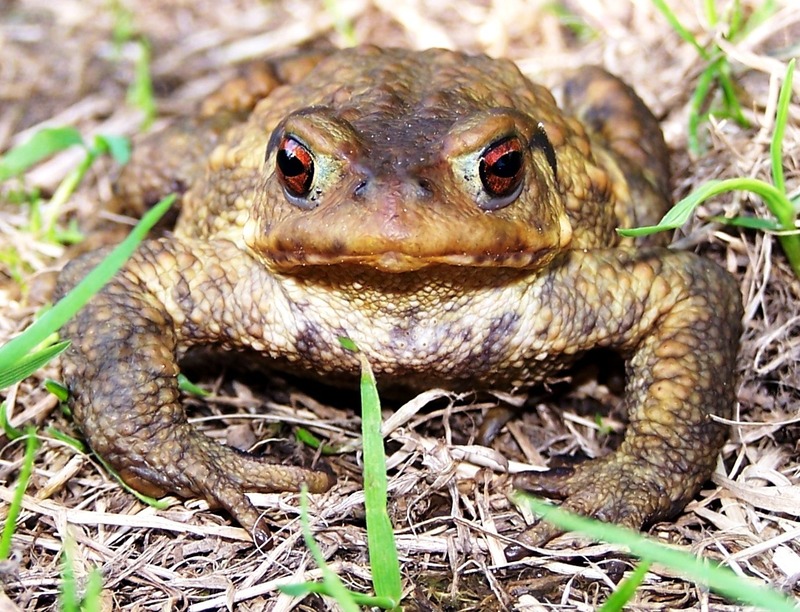 The Jersey toad or crapaud has long been associated with the Island and Jersey Islanders – Jersey is the only one of the Channel Islands with any species of toad. Decades have passed, however, since toads have been present in “scarce credible” numbers “crawling over the rocks like an army” (as quoted by Frances Le Sueur). 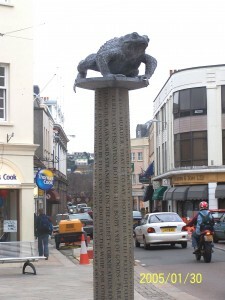 In 2004, while with the Durrell Institute of Conservation and Ecology (DICE), University of Kent, I began a three-year PhD study on Jersey toads, investigating their ecology, populations and genetics – as well as anything else that might account for observed reductions in numbers on the Island. I found that they behaved very differently to toads in England and parts of France, breeding much earlier and using different (much smaller) ponds on average. A central reason for the toads’ decline in Jersey has probably been the shift away from traditional agricultural reservoirs to mobile stock watering tanks, coupled with the fact that demands on the Island’s water supply are heavier so any ponds dry up more quickly in the summer. 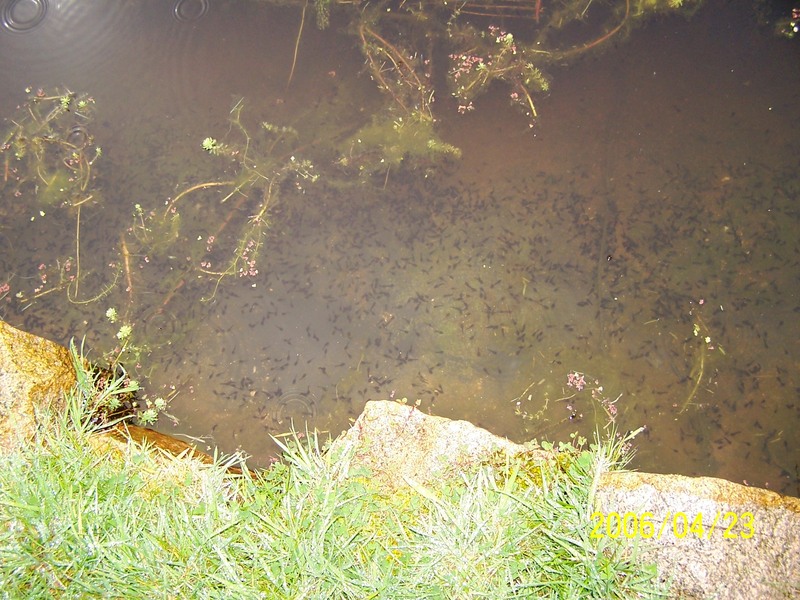 Jersey toads are now almost completely dependent on Islanders’ garden ponds and occur mainly in parts of Jersey where people have suitable clusters of ornamental ponds in which they can breed. This also makes them susceptible to road mortality and isolation from nearby populations when new developments occur and/or roads are constructed. I now work for the GB charity Amphibian and Reptile Conservation (ARC) but return to Jersey as often as I can to carry out training for the National Amphibian and Reptile Recording Scheme (NARRS). After one such trip, I had an opportunity to find out more about the strange habits of the crapaud…. 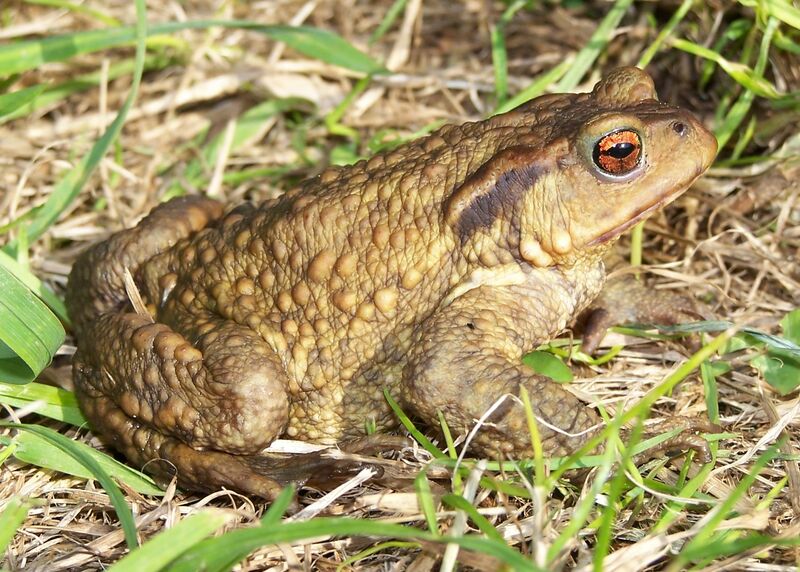 I was asked by an old colleague if I had any genetic samples from Jersey as a new species of toad (Bufo spinosus) had been described that was found in parts of nearby France as far north as the Contentin Peninsula. With no expectation of anything other than contributing to an ongoing study, I sent off some “old” genetic samples from my PhD research to Pim Arntzen at the Naturalis Institute in the Netherlands, where much work on the conservation genetics of European amphibians is carried out…. Some while later, the news arrived that the samples had proved “interesting” and that a morphological study was needed to establish what species the Jersey crapaud really was! So, in Spring 2013, I returned to Jersey and, with the help of Department of the Environment staff, took measurements of toads from various parts of the Island…. all on the day before the dramatic snowfalls of that year that Islanders will certainly remember. Those morphological data were also sent to Naturalis and analysed along with data from the earlier DNA. 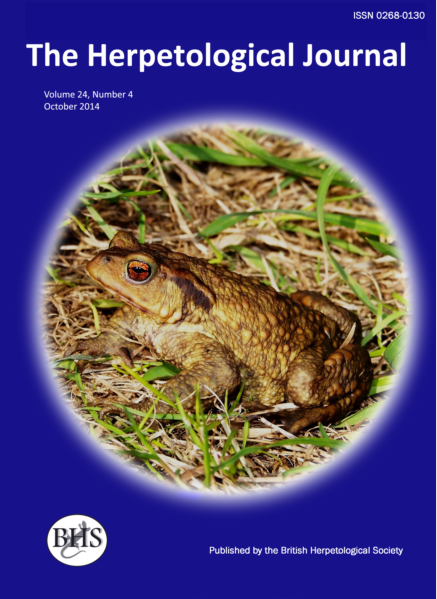 Fast forward to October 2014 and Pim, mine and colleagues’ paper revealing the Jersey crapaud as a new species for the British Isles was published in the Herpetological Journal. Toads in Jersey are indeed Bufo spinosus, a species that split from the usual “common” toad (Bufo bufo) some nine million years ago with the rising of the Pyrenees. 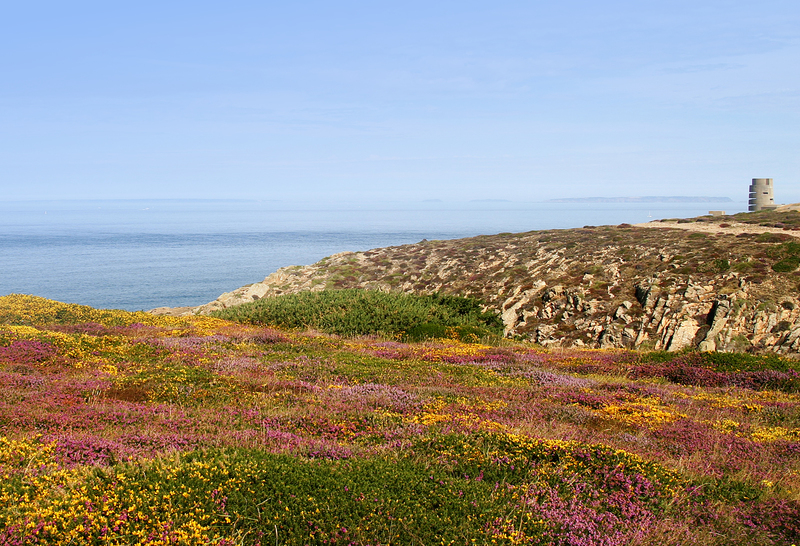 The species evolved in Iberia and has since spread south into North Africa and north through Western France as far as Jersey – but nowhere else in the British Isles. So Jersey toads share more of their history with toads from Algeria and Spain than they do with English toads! Bufo spinosus grows bigger than B. bufo, irrespective of latitude, and has evolved to take advantage of smaller ponds that dry out over summer (as are found in Iberia, for example) in dryer, often open habitats. B. bufo prefers large, deep permanent lakes and woodland areas. So when toads arrived in prehistoric Jersey and encountered dune slacks and maritime heaths, they would probably have been perfectly at home. Only recently have larger water bodies such as reservoirs become much of a feature in the Jersey landscape. The ability of Jersey’s B. spinosus to adapt to smaller breeding ponds and open landscapes has probably been a factor in allowing them to use Islanders’ ornamental ponds for breeding. Armed with this new knowledge, we can better make decisions to help conserve the crapaud in Jersey and ensure that it is still around to be associated with many more generations of Jerseymen!